The investigation into a downed Russian plane has ignited concerns in the United States about potential threats posed by airport workers who can enter secure areas with little or no physical screening. The worries have been heightened as investigators look at the possibility that an airport worker may have planted an explosive device on a Russian airliner that crashed on Egypt’s Sinai Peninsula, killing 224 people. "I would say we have to take this a very hard serious look at mitigating the insider threat and that it's not business as usual," said former deputy administrator of the Transportation Security Administration, John Halinski. That threat was highlighted earlier this year in an NBC 5 investigation that exposed a back door open to trouble and a lack of accountability for airport security badges, known as Secure Identification Display Area (SIDA) badges, airport workers use to get into the most secure areas. At most airports in the US, workers skip the security lines while the rest of us wait in and enter through side doors bypassing checkpoints. They can even carry bags in with them. The TSA only conducts random screening at employee entrances and workers are not physically checked every day. In the last year, workers at Dallas/Fort Worth International Airport have been arrested for using employees entrances to smuggle drugs. At Hartsfield-Jackson Atlanta International Airport in Atlanta workers were caught smuggling guns through those doors. On top of that NBC 5 Investigates discovered, hundreds of airport employee SIDA badges are missing -- lost or stolen at some major airports. The NBC 5 reports prompted concerns from Congress and a Department of Homeland Security review that's still underway. NBC 5 Investigates asked the TSA if they have any immediate plans to increase security at those employee doors in light of the concerns about the Russian plane. 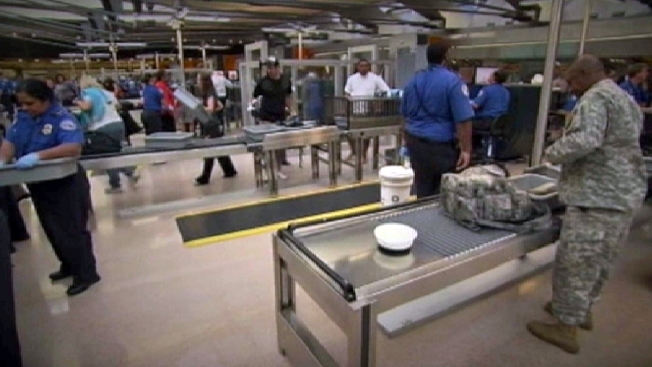 The TSA said they closely monitor events and whether any changes need to be made. In the past TSA has said it constantly reevaluates security measures and that it plans to step up efforts to ensure airports account for missing badges. But better tracking of SIDA badges and tougher security at entrances will not happen overnight. “It’s a tall order, it's going to be expensive, it's going to be painful for people but it's risk versus gain”, said Halinski.